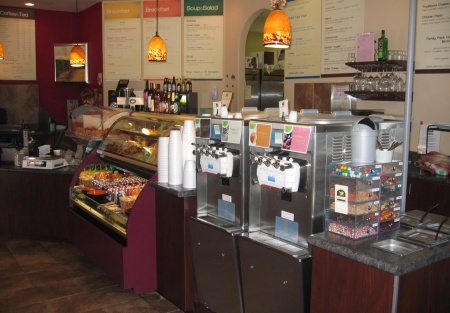 Selling Restaurants presents this Italian classic Caf� also serving beer & wine offers a beautifully decorated space in a small neighborhood center located on a heavily traveled corridor of this community. There are an excellent complement homes, small businesses, large business (for catering/bulk order delivery) and a new school opening in mid August which will naturally boost sales. The business has been absentee owner ran and operated since opening, yet in 2006; saw real growth of 20% the first year and the same in the second � the business is growing year over year on pace to $300k in 2008. Make this owner operated with the new school, expand the business hours beyond 5PM, open Sunday's and take advantage of the beer & wine license will ensure better growth results in 2009. The caf� has been recognized by many in the community for its quality of product and services. This turn-key operation would easily transition into many other foodservice concepts. There are tremendous opportunities not being taken advantage of in the lunch and dinner day parts; again, operate past 5PM and open Sunday's to see quick results. The area gives you a true European lifestyle feeling; with three private park areas, and where the caf� is located ... can be described as an exclusive Village area that is within walking distance on romantic tree-lined streets from the nearby homes. This is not your typical neighborhood center anchored with a large grocery store. The community borders Rancho Santa Fe and is nestled between the acclaimed areas of Fairbanks Ranch and Santaluz. To get the name and address just select the orange button below titled "want name and address" and go through the registration process. It's fast and easy and all we need is your name, e-mail address, mailing address and phone number. No credit cards needed. 6:30am - 5:00pm, 7:00am - 5:00pm on Saturday. Closed Sunday. Cafe is located in an exclusive "Village area"